In the film, virtual tour guide Danny Herman, also known as “Danny the Digger,” showcases the shrine and points at the exact spot where Jesus is believed to have been born. “This block is marking the very spot of his delivery,” says Herman in the footage. Director and producer Pearry Teo, as reported by MailOnline, emphasizes that the site of the real-life nativity scene is important not only because it hosted the birth of Jesus Christ, which is the foundation of Christianity, but also because it is one of the oldest among the major holy sites in the world. The director adds that the video is not only for Christians but for anyone who is interested in architecture, geography, and history. He also says that one need not be a Christian to be touched by the place, sharing that even Muslims visit the shrine. The immersive film is part of the Bible VR series, an effort to feature the bible using 360 video and virtual reality. The Church of Nativity is located 10 kilometers south of Jerusalem. 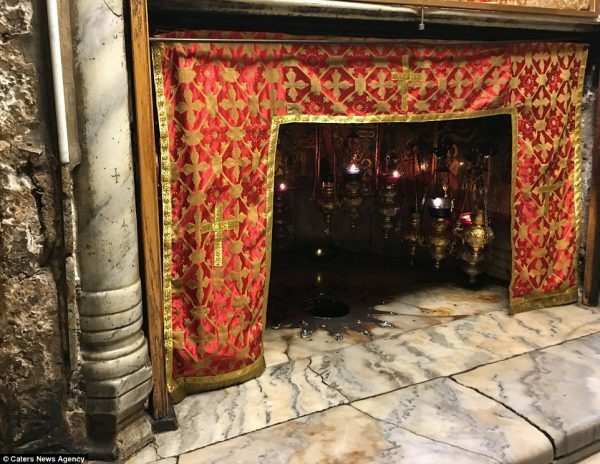 The shrine is currently being managed based on the “Status Quo of the Holy Places,” which is being jointly carried out by the Greek Orthodox Church, the custody of the Holy Land, and the Armenian Patriarchate. An advisory committee formed by the Palestinian President is also currently in place.